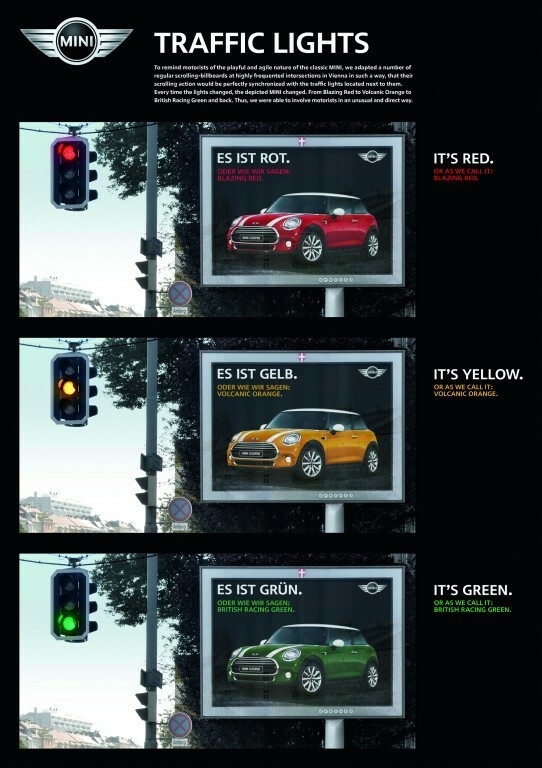 BERLIN, Germany—Major marketers Mini Cooper and John Lewis shared the stage with little-known upstarts Shiseido and ElaN Languages in accepting Grand Prix honors from the Epica Awards. The France-based award show, judged by professional journalists (including myself) who cover the global ad industry, announced its top winners at an awards ceremony here in Berlin tonight. Taking top honors in film was Shiseido, the Japanese cosmetics brand whose branded short film, "High School Girl? ", has tallied 8 million YouTube views since being posted in October. "It is a great honor for all of our team to have been selected as the Film Grand Prix for Epica 2015, and we are sincerely grateful for the recognition from the jury," said Shiseido creative director Masato Kosukegawa. "We especially appreciate the director, Show Yanagisawa, and the director of photography, Jin Ohashi, and also the school 'girls' who showed their great patience to strike a pose and stand still while we were shooting for seven hours." Epica jury president Olivier de Montchenu, managing director of sales for Euronews, called the ad "an incredibly powerful idea, extremely well executed—it's almost a short feature film." He said the playful focus on gender is both "topical and striking." ElaN Translate's clever cooking demonstration of a Japanese sushi cake—as interpreted by Google Translate and ElaN's human translators—won Epica's Grand Prix for digital. The campaign by J. Walter Thompson Amsterdam included both a digital video and a related link for viewers to try the test themselves by comparing (and cooking) the translations. "It's hard for a small online translation company to fight the Goliath of the category: Google Translate," said Bas Korsten, executive creative director at JWT Amsterdam. "The only way we thought we could beat them was by making the quality difference tangible—or in this case, edible. The online movie of the experiment convinced a lot of people to have a taste of ElaN Languages, and that was what we set out to achieve." Jury president de Montchenu said the effort was a perfect example of how a challenger brand can succeed through creativity. "Google is not challenged in this way very often, so the film is refreshing as well as entertaining," he said. "It also makes you want to try the alternative translation tool, so it perfectly attains its goal, as well as reaching out from the digital world to touch our everyday lives." 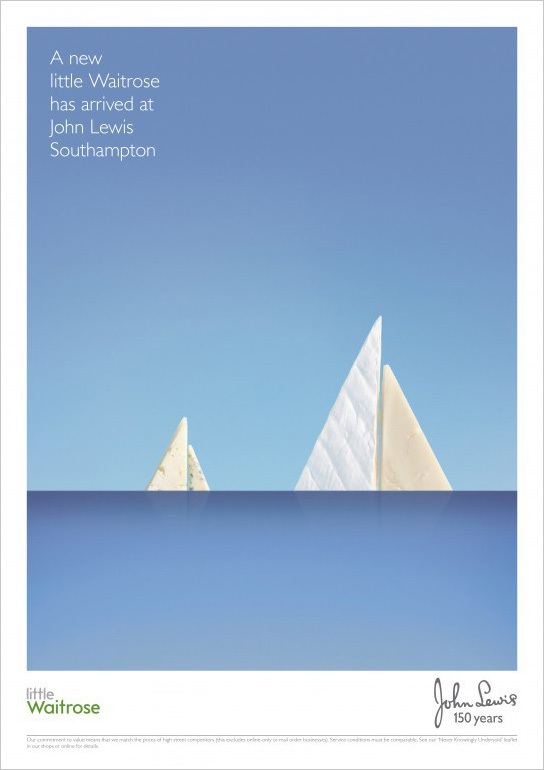 British department store John Lewis won Epica's top honor for print-centric work with a series of minimalist ads for a store launch. 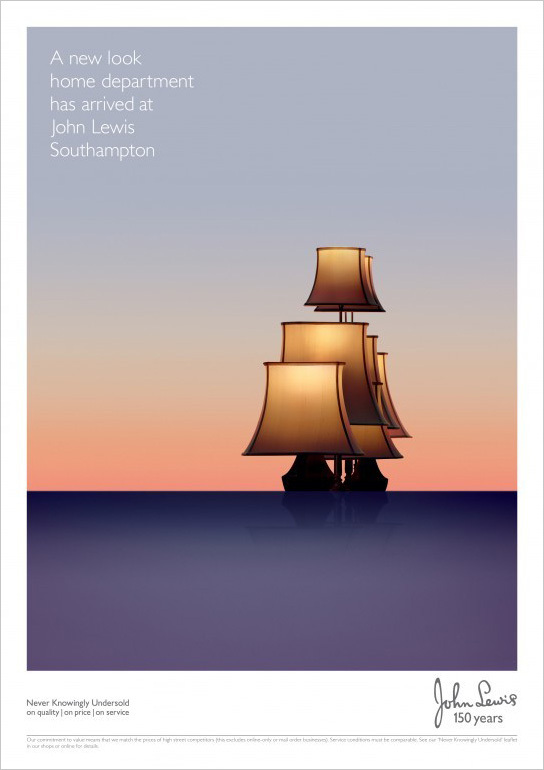 The three print pieces were created by adam&eveDDB, those ecd Ben Tollett said, "This started as a small brief for a store launch in Southampton. It's ended up giving us all big heads." "This idea no doubt lived on for some time in the minds of those who saw it, which is usual for something you pass on the street," said jury president de Montchenu. 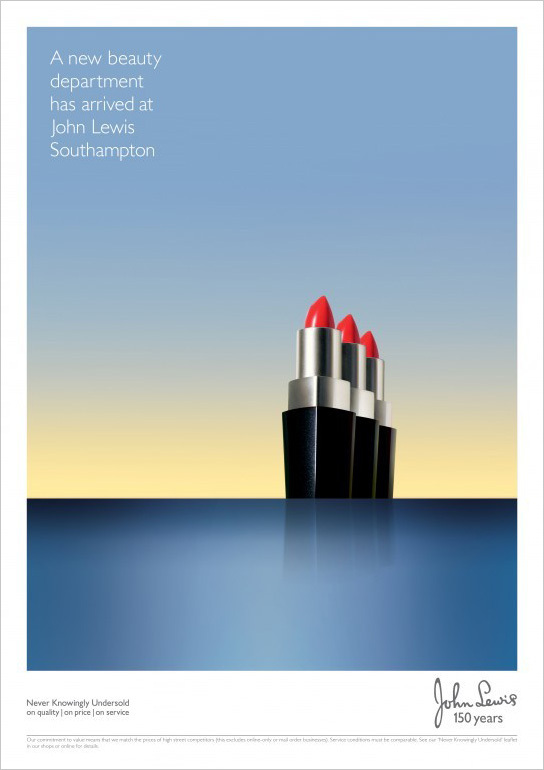 "Not only is it amusing, but it also fits perfectly with the playful image of Mini."